...through wiping, we learn. : The return of the.... CC? Sometimes your mind wanders, tinkers about something. I read Rigtheous Orbs, which is about hard dungeons, and remembered the days of CC, which for a Tankadin stands for Continuous Consecration (although Cons. is a lot less usefull these days), but for the rest it means Crowd Control. And remember what they stood for? Yes, that's how we did it before Wrath, mark mobs, and everyone knew what to do. If you where a mage, and you saw a moon appearing on a mob, you knew what to do. And you'd better knew how to chain-trap as hunter :). 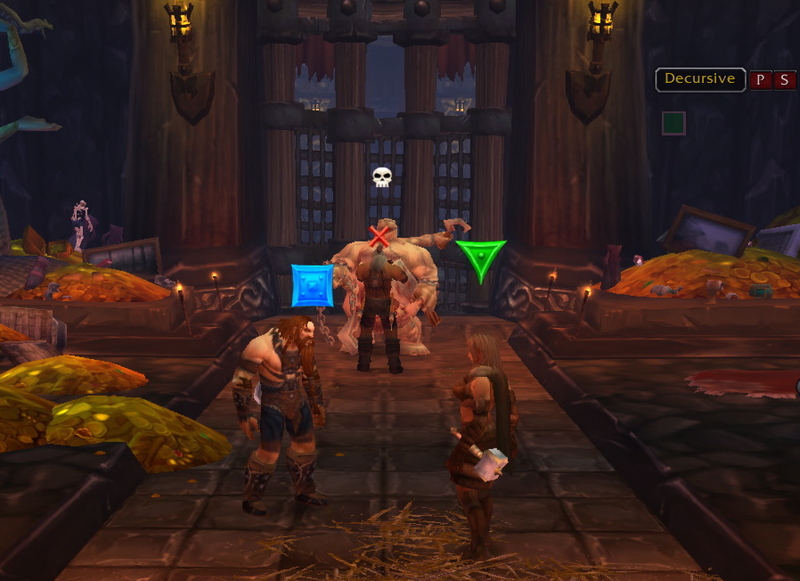 Now my current experience in Wrath is, that when you actually put a skull on a mob, it probably dies last ??? Now, back to CC, or better what CC's are out there, and I am going to ignore short spells, we want to take a mob out of combat for at least 15 seconds. I know there also are other options to control mobs. 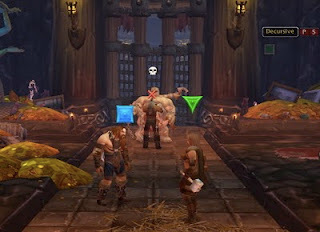 A rogue could stunlock a mob (but preventing the rogue from doing dps), and mobs can be chain-feared by several classes, but as you know, fearing is something you should refrain from in most dungeons, you know why, don't you??? And there are some spells which are spec-specific (wyvern sting/repentance) so not all of that class may have them. And of course they all break on damage. As you can see, there are a lot of CC's, some are mob-specific, like Shackle Undead, but it seems to me, that a reasonable balanced group at least has 2 CC's to choose from. And as mentioned by our favorite Crab, we will need them again in Cataclysm. So start using them again, pull them out of your spellbook, on to your hotbars. Now hope you don't get a group with 2 DK's, 2 Warriors and a Holy Paladin.... then yer screwed, lass. My tiny mind is blown. It's weird how alien other people's marks seem isn't it?